Movember – the men’s health charity that asks men to grow a moustache for 30 days in November to benefit the Prostate Cancer Foundation and LiveSTRONG – has some big name supporters showing their love for the mo’ this November. 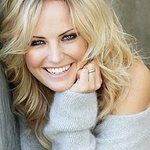 Model/actress Malin Akerman is a long time supporter of the cause and has been turning up at Movember events in her I heart Mo shirt. The Watchmen star also sports a mo’ of her own in a recent video she made to promote the charity. Greatest Movie Ever Sold filmmaker Morgan Spurlock, has shaved down his trademark mo’ and will be growing it back to raise money for the cause this month. He will be celebrating the close of another successful Movember at the New York Gala Parte at Roseland Ballroom on December 2nd. Top Chef contestant and Marcel’s Quantum Kitchen star Marcel Vigneron will also be dedicating his top lip to fight cancer this Movember. Brody Jenner and other celebs that are showing their love for facial hair this month. Also supporting Movember is 50/50 star Seth Rogen. The actor/writer recently created a series of tongue in cheek videos outlining the supposed “History of Movember” (in Rogen’s version, the founders of Movember now exist in the Los Angeles underground as soldiers of fortune) and his own facial hair inadequacies.